Date Issued: July 5, 1914. 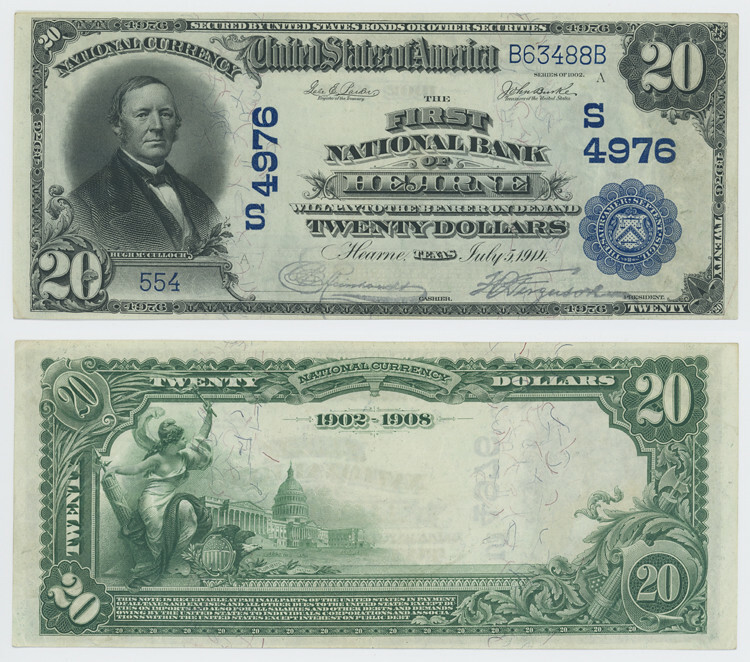 Notes: This $20.00 National Bank Note was issued in Hearne in 1914 by the First National Bank of Hearne. Bank serial number: 554. Treasury serial number: B63488B. Signatures: Gabe E. Parker. Register of the Treasury. ; John Burke Treasurer of the United States. ; [illegible] Cashier. ; [illegible] President.